Kihei Surfing Lessons. Maui Surfing Lessons. Learn to surf in Maui. 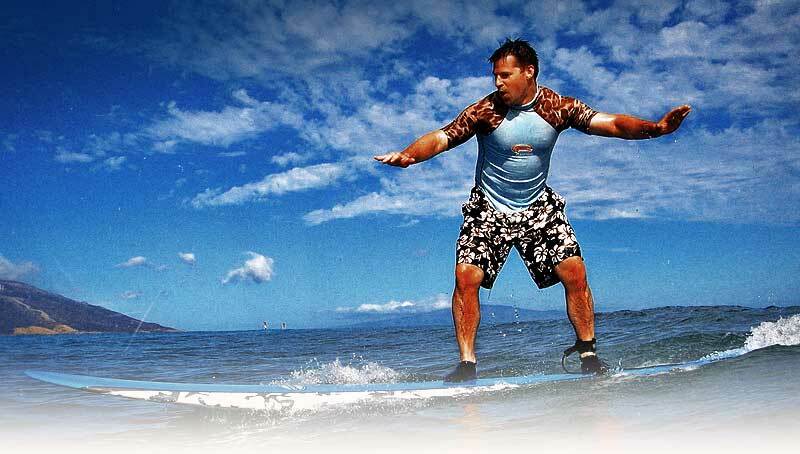 Maui surfing lessons at the lowest prices. Kihei, Maui, is a surfing instruction paradise. All day long we are graced with perfect sunny weather and beautiful small rolling waves that provide a sensational environment for learning how to surf. Our 2 hour surfing lessons are structured specifically for first time surfers and intermediate boarders who are looking to take the next step and bring their surfing up to the next skill level. We'll introduce you to proper techniques that will help you build a strong foundation of skill with both surfing and ocean safety. Before you know it, you'll be riding the warm and gentle Hawaiian waves with grace and style! 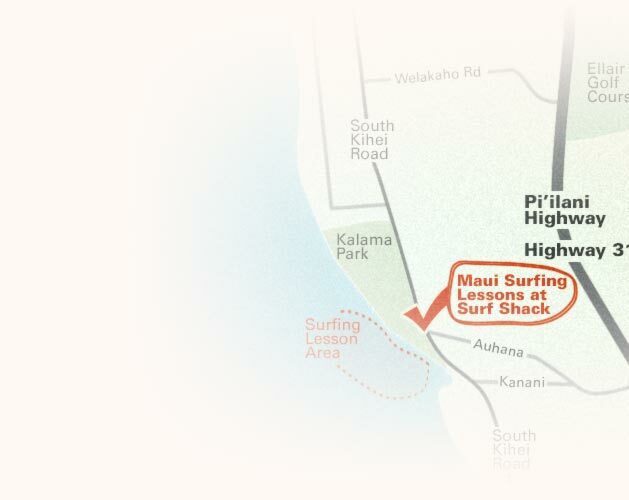 Maui Surfing Lessons at the Surf Shack is located right across the street from Kalama Park, and is the closest shop to the Kihei surf break. Our all inclusive Group Surfing Lessons and Private Lessons include all of the gear you need for a perfect and effortless lesson experience. We use easy to ride, super wide, soft-top surfboards, lycra rash guards to protect your body, and neoprene surf shoes to protect your feet in our lessons. Everything you need is included in our super low prices. We're a small locally owned and operated company and our entire mission is to give you the best surfing lesson possible. Our instructors are CPR certified, First-Aid trained and fantastic surfers in their own right. They'll make you laugh, smile and have a blast in the waves of South Maui. Read about our Group Surfing Lessons, or the more personal Private Surfing Lessons. Just want to rent a surfboard? Get a preview of the day learning to surf on our Lesson Photos page. The FAQ page has answers to your questions, or you can Email us directly if you'd prefer. 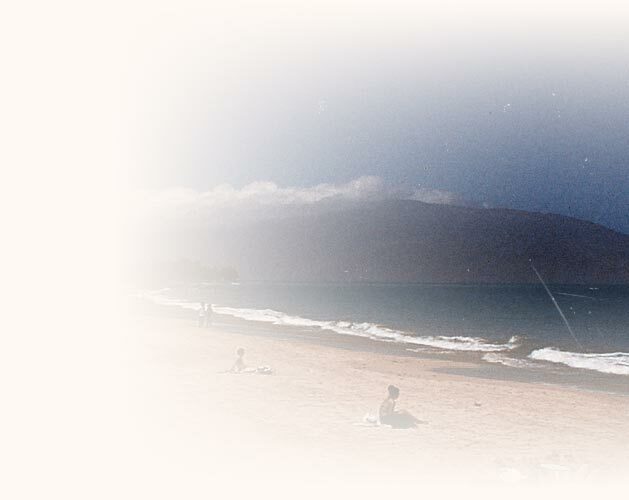 All content Copyright © 2003, Maui Surfing Lessons.